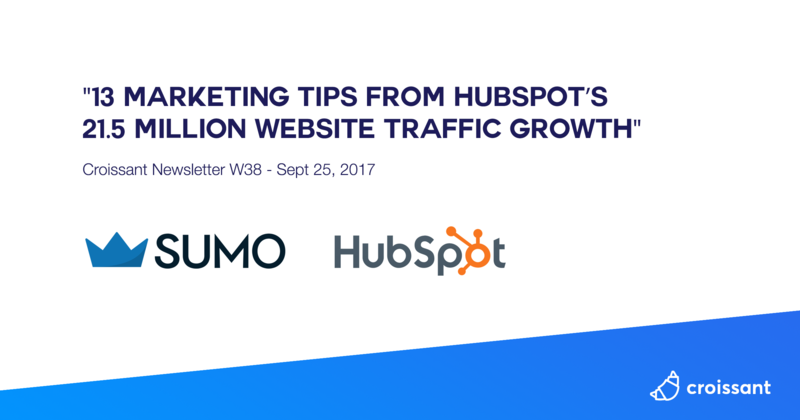 "If you’re a marketer, you can’t help but hear about HubSpot’s massive growth. They have a traffic rank of #5 in the world… in the online marketing tech space. We test everything. On Facebook alone, we run over 40 A/B tests a day with clear testing guidelines. We’ve even developed our own tool to do it. But testing alone is not enough. To gain a firm competitive advantage, you need to build your entire culture around testing and experimentation. For us, this meant separating our Marketing Team in different countries and regions, where every country manager is fully responsible for their results. This little competition between marketers inspires people to be more creative and test out techniques and strategies." "If you're a product development team and want to experiment deeply in your product, with minimal performance impact, and across multiple channels, you should run experiments server-side. The server-side approach calls for a different organizational model. Each experiment may require a code release and therefore requires the involvement of the product development team every step of the way. Rather than having a centralized experimentation roadmap, each product development team should simply consider rolling out every feature on their roadmap as an A/B test." "We’ve discovered the only proper way to onboard people to your product is to understand where they are and where they want to get to, and then use a combination of nudges, prompts and outright persuasion to help them get there. A series of onboarding messages gives you the best chance of activating new signups, customizing their ensuing journey, and ultimately, ensuring as many new users become successful ones". "Slack asked us to help redesign slack.com to make it all clearer. With a significant amount of Slack teams created there, the site is a huge driver of growth for the company. We worked closely with Slack’s team, both onsite and off, to improve conversion and better communicate the brand. By making the site comprehensive, easy to navigate, and focusing on prospects, the redesign aims to increase the impact of slack.com on the bottom line"
What’s the antidote to irrelevant, uncompelling communication with your leads? Personalization and segmentation are about making sure people only receive relevant communication. If your mission is to increase trial-to-paid conversions, it’s essential to gather and analyze customer data." "The main principle to increasing search traffic is this: Help your target audience find what they need. That’s Google’s objective, too, so you’ll be working with Google instead of trying to trick it. Use AdWords Keyword Planner to find relevant and popular search keywords. Prioritize those with high volume and clear intent. Group solutions, use cases, alternatives, and industries pages into top-level menu items to make them easy to find for the Google crawler and other visitors"